CD-Cops and OALD - CD-Cops, WinCops, software security, software piracy, anti-piracy, license management, license control, software protection, key diskette, encryption, cryptography, anti-piracy, intellectual property, Internet security, access control, copy protection, computer security, CopyLock, DialCops, WebCops, linux protection, "macintosh protection", mac protection, macOS,OS X, linux. CD-Cops and Cops Crypto are now used to guard one of the world's most prestigious CDs. As Wikipedia puts it: "The Oxford English Dictionary (OED) is a comprehensive dictionary published by the Oxford University Press (OUP). Generally regarded as the definitive dictionary of the English language, it includes 500,000 headwords together with some 2.5 million illustrative quotations." A new version 3 of the well-known dictionary has now been released on CD and OUP chose Cops Crypto to protect it's data files. The Cops technology was recommended by Oxford's Elt division, who have used CD-Cops for many years. 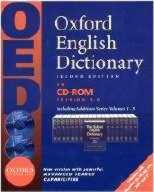 CD-Cops also provides the protection for the Oxford Advanced Learner's Dictionary and many other OUP titles.